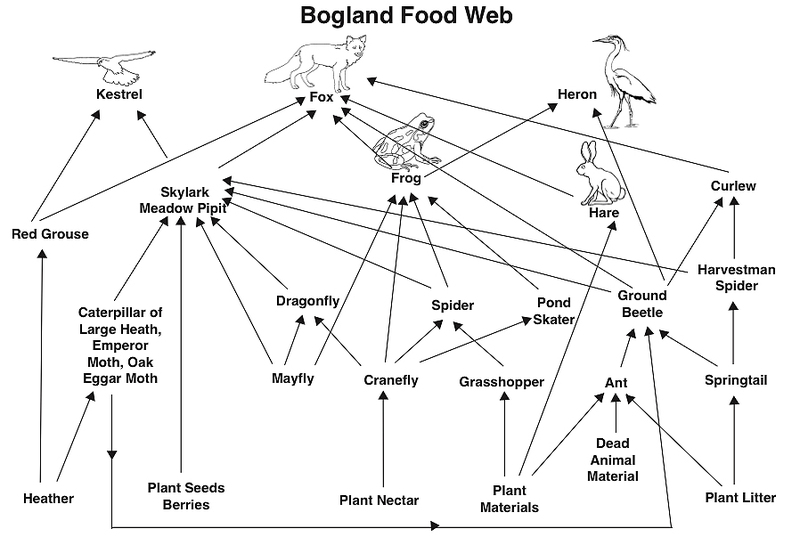 Here is an example of a bogland food web from Ireland. It consists of a number of food chains from a bog ecosystem. Each food chain represents one possible path that energy and nutrients can take as they move through the bog ecosystem. All of the interconnected and overlapping food chains in an ecosystem make up a food web.